Akiko Watanabe was born and raised in Japan. She studied electrical engineering, Japanese art and culture, and English, and became a professional technical translator of English and Japanese. In 1981 she moved to the San Francisco Bay Area where she and her husband share their home with their large family of rescued cats, who are often the models for her art. 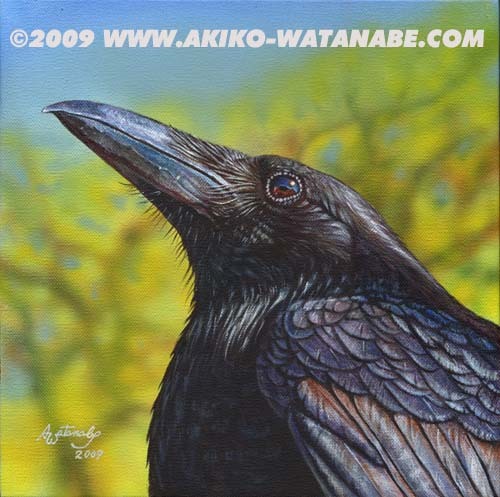 Akiko was always interested in art and is self-taught in painting. Her media include acrylics, watercolor, and pastel, and her favorite subjects include cats and wildlife, sometimes with a Japanese theme. 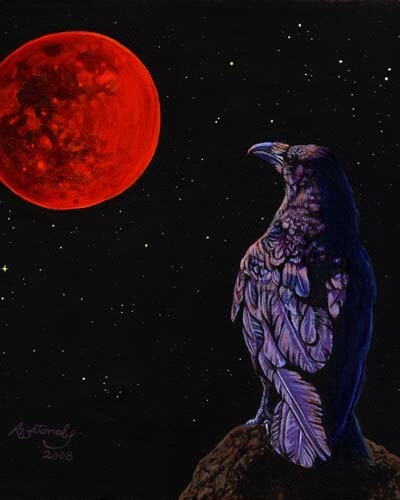 Her ravens and crows are depicted in loving detail and vivid color, giving life to this otherwise mostly despised Japanese icon. You can purchase prints from Akiko at her Etsy shop.